Redmi note 5 isn’t the only big launch from Xiaomi they also launched Mi Smart LED TV 4 with the 4K display. This smart tv comes with super thin bezels and it is the thinnest LED TV in the whole world. It packs up so many cool features and it is only available to buy from Flipkart & Mi Flash sales. Here we are providing 100% working trick to Buy Mi LED Smart TV 4 Flash sale on Flipkart & Mi Sites. This product is actually priced at 44,999 Rs but in the first flash sale, it is only available for 39,999 Rs. This will take your TV-viewing experience to the next level. It comes with Frameless display and very thin screen. The 4K+HDR and the Dolby+DTS technologies, along with the flagship performance and connectivity features this TV offers, make for a seamless experience. Xiaomi claimed that this tv as the thinnest ever in the whole world and it’s actually true. Mi LED Smart TV 4 comes with 4.9 mm Ultra-thin screen. This tv was released on 14th February and it is now available to buy with 11% discount in the first flash sale. Starting price of this TV is 44,999 Rs but you can get it for 39,999 Rs in the opening sale, so don’t miss out this awesome deal. 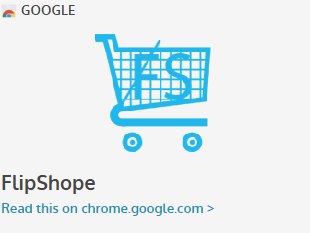 Buy from Flipshope extension to get this for sure. There are two units available in Mi TV 4A. You can buy 32-inch model which costs around 13,999 Rs and it won’t offer any Full HD display the available resolution is 1920*786. If you want a bigger TV with Full Hd display then you can buy 40 inch which is priced at 22999 Rs. Both of these units are at discount now so grab them in the first flash sale by using Flipshope Extension. I bought mi tv i got irritated with the tv. It has low in memory the processor is too low we cannot download many apps. My friend is using the ridaex tv It has high in memory size he is downloading many apps. He is not getting any lag. I am also planning to buy the same tv. Awesome!! I ordered Mi tv using this extension. It tries 50 times to add to cart in 5 seconds, then it refreshes 🙂 Cool notifications. You don’t need to do anything, automatically it will be redirected to delivery page. What if the TV is already in the cart and I’m unable to go through the payment process? bro, will it work for the 5pm sale today? 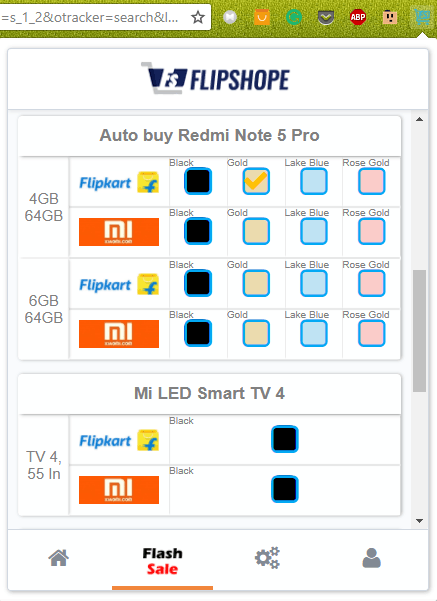 I want to buy the 55″ TV from mi.com because flipkart does not ship to my location. So just wanted to know if Autobuy really works on mi.com or not. If yes, please guide me through the process. I have installed your extension in chrome for the “purchase” of Mi TV on 23rd March. > So, I shall visit Flipkart’s Mi TV page at ~11.50am. > After this do I have to refresh the web page, or i just sit idle till it gets added to my cart. > If i get lucky, how fast do I have checkout? I mean do i have to haste or make payment as normally I do. Yes, you must visit the page before the sale and you don’t need to refresh because our extension will start reloading the page from 11:57 AM. It will reload every 5 secs and when the sale starts it will automatically add the product to cart. Make sure you complete the payment ASAP if you failed to do the products will become out of stock. I want to purchase 100 unit of Mi Tv,Can you please help me to get it. I want to order a MI TV 55 inch at price of 39,999 at the site of mi.com as COD. In name of my company name with GST no becoz I want invoice in my company name with my GST no. Plz help me to get it booked on 13 March noon. Hi Deepak our extension has been updated you will get the option tonight or tomorrow morning. Go to cart and wait for the product to come there?Which I should do /which one is effective? thx just ordered the TV using ur tool.